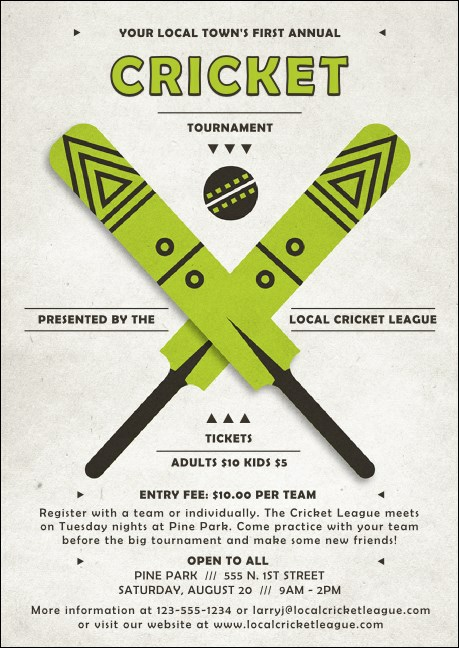 Promotional mailings couldn't be easier when you use the Cricket Postcard! The playful design of this template will help you grow interest in your event with artwork of brightly bedecked bats crisscrossed underneath a game ball. They'll be no questions left when you fill 16 lines with event particulars. Let the right postcard work for you when you shop TicketPrinting.com!